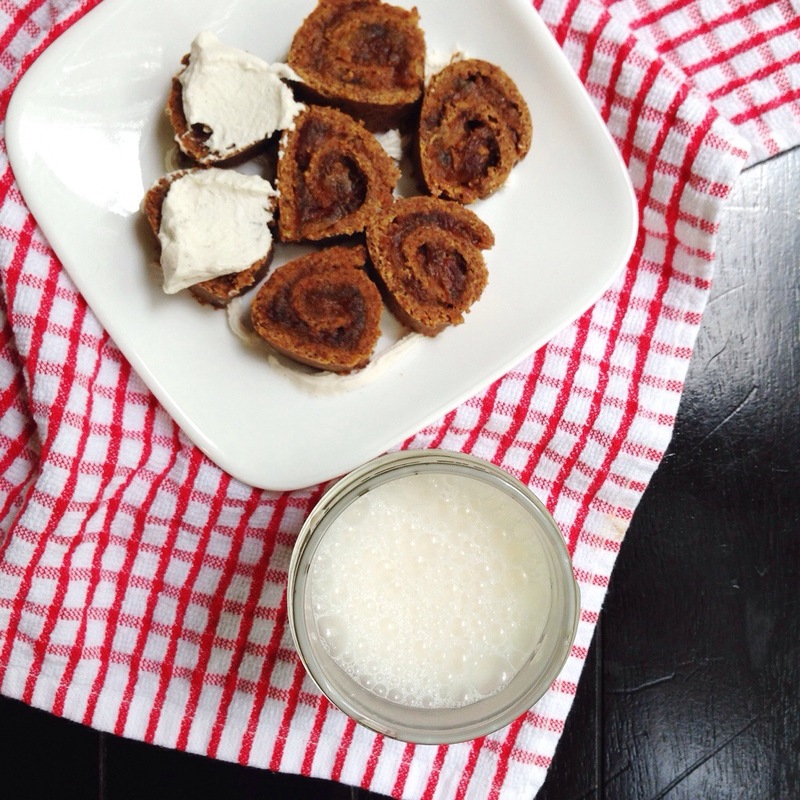 Raw Cinnamon Rolls. [frosted!] | Eat More Plants. Um….seriously? Since when are eggs fetuses? It is common knowledge that a hens egg is just an egg right? An unfertilized egg is not a fetus. A fetus is an unborn child. Calling yourself a vegan does not excuse ignorance. Neither does it give you the right to bash others choice of food. You don’t want to eat animal products for ethical/environmental/health reasons; that’s fine! Neither do I! Just don’t be a dumbass about it. Live gently and tread lightly. I made almond milk and saved the pulp to use for this! 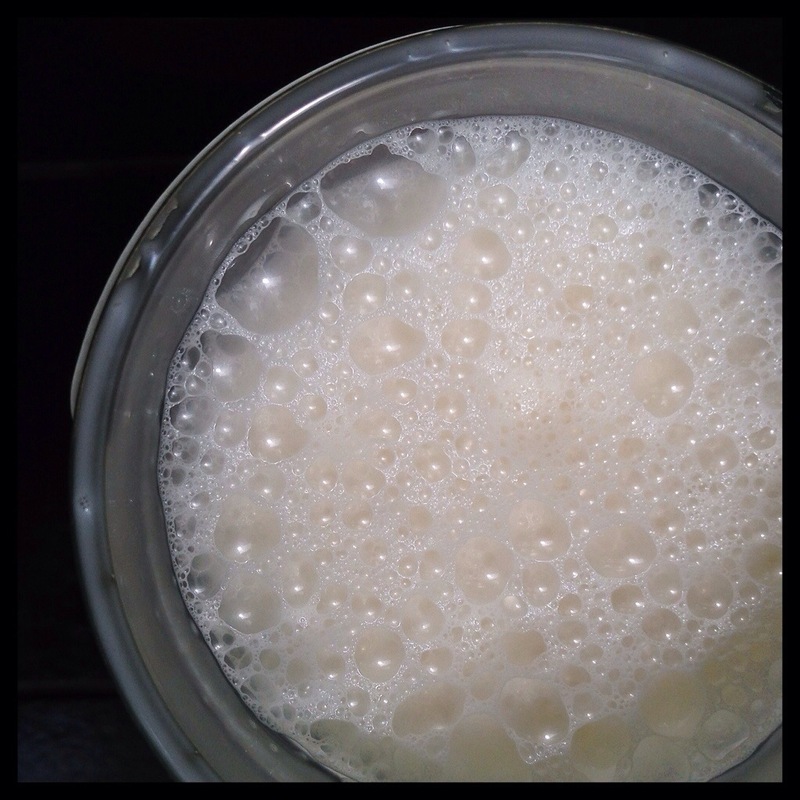 Homemade almond milk is so much creamier than store bought. Here is the original recipe from “rawified”. Blend flax, almonds and pecans until crumbly and combined. Slowly add in honey or whatever other sweetener you choose while the food processor is running. Add water until a workable dough starts to form. Lay the dough out on a piece of wax or parchment paper (about 1ft by 1ft) and cover with another piece. Roll the dough out to 1/4 inch thickness. Set aside until your caramel filling is ready. Stop to scrape down the sides when necessary. Spread evenly over your rolled out dough. • I added a handful of finely chopped, raw cashews here for a crunch element since everything is very smooth and soft. Grab the end of the wax paper closest to you and gently start to pull it up and away from you, to begin to make the dough roll in on itself. Think of making a sushi roll. Pull until it’s rolled all the way up. Wrap it up in the wax paper and refrigerate for 1-2 hours before slicing. 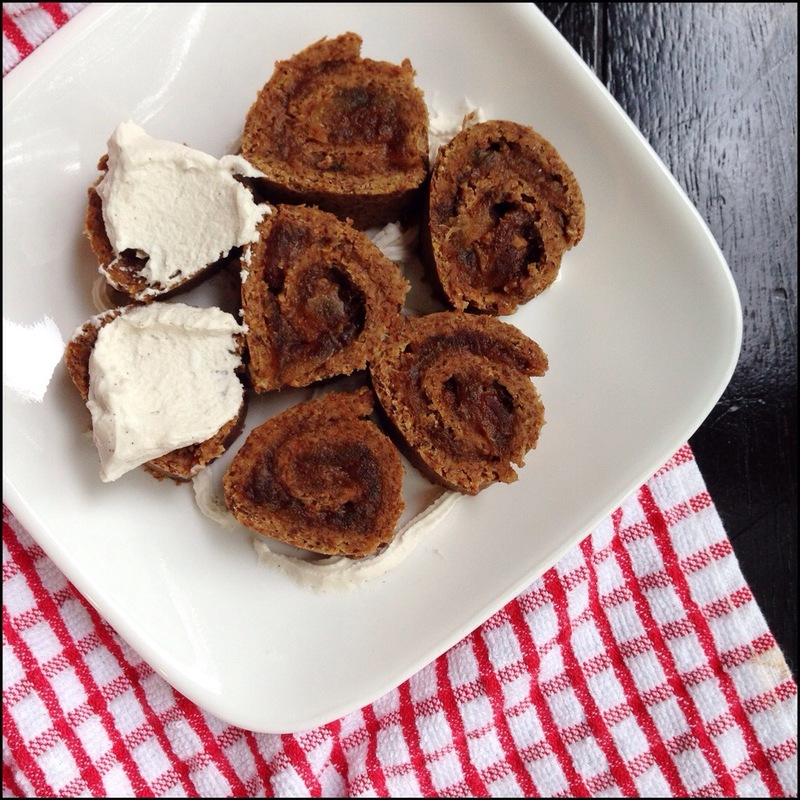 Top it with cashew cream or coconut cream icing, in lieu of the traditional cream cheese frosting. Although I thought they were great without it, it’s up to you.